Although social influences on physical activity can occur throughout life, they are particularly important in childhood and adolescence. According to a review article by researchers at Emory’s Rollins School of Public Health, friends are an important source of support for children’s physical activity. Kids whose friends are positive and supportive of physical activity are more active. Children whose friends are physically active are also more physically active. Children who are active with friends (i.e. doing sports together, walking to school, riding bikes) are more active and are active for longer periods. Friends are especially important in guiding behaviors, values and attitudes at these ages. 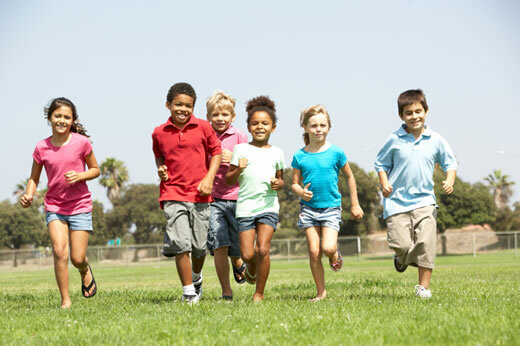 Active children and adolescents are more likely to become active adults. Physical activity often decreases during adolescence, so these are important ages to target for interventions to establish lifelong physical activity habits. "If friends are influencing each other to become more physically active, there are great public health opportunities to draw on these social networks and encourage more opportunities for them to be physically active together," says Cunningham. "Although the challenge has been determining to what extent kids influence each other as opposed to simply selecting friends with similar tastes and habits, this study highlights the importance of developing creative ways to use friendship for sustained physical activity promotion."